AccountSight has been identified as a top five most simple to use time tracking software, based on hundreds of reviews on time tracking apps from real users like yourself, with data collected on aspects such as Ease of Use and Ease of Setup. AccountSight ranked at the top of three satisfaction categories. It scored a ninety-nine percent Ease of Use, a ninety-seven percent Ease of Admin and a ninety-five percent Ease of Setup. AccountSight has 15 reviews overall and was named a High Performer in the most recent G2 Crowd Time Tracking Grid ® Report. To learn more, check out the AccountSight reviews page on G2 Crowd. 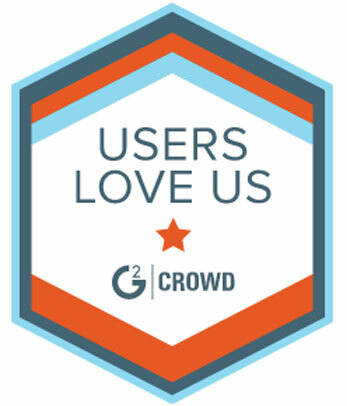 About G2 Crowd, Inc. G2 Crowd, the world’s leading business solution review platform, leverages more than 250,000 user reviews to drive better purchasing decisions. Business professionals, buyers, investors, and analysts use the site to compare and select the best software and services based on peer reviews and synthesized social data. Every month, nearly one million people visit G2 Crowd’s site to gain unique insights. G2 Crowd aims to bring authenticity and transparency to the business marketplace. For more information, go to G2Crowd.com.